Level39 is Europe’s largest technology accelerator for finance and cyber-security, and has been instrumental in the London FinTech startup revolution, having expanded its available space specifically to house startups focused on developing technology in the FinTech, retail and smart city sector. Venture capital funding for technology startups in London doubled to nearly £1 billion in 2014 over the previous year, a figure that is 20 times greater than investment put forward in 2010. This marks a very decisive shift amongst business players who now seem to be more than willing to invest in technologies elsewhere than Silicon Valley. 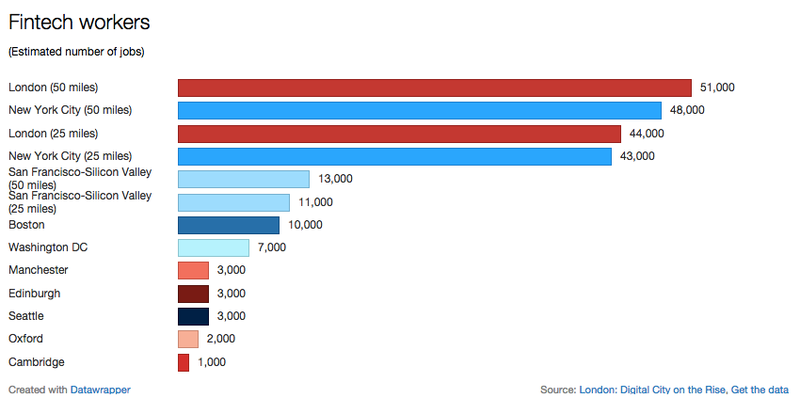 In fact, London employs more people (51,000) in the sector than anywhere else in the world. Investors clearly see that there is now huge potential in the London UK FinTech sector. UK Trade & Investment indicate that £342 million was invested in UK FinTech companies alone last year – nearly £100 million more than the global investment just 7 years ago in 2008 (see above). 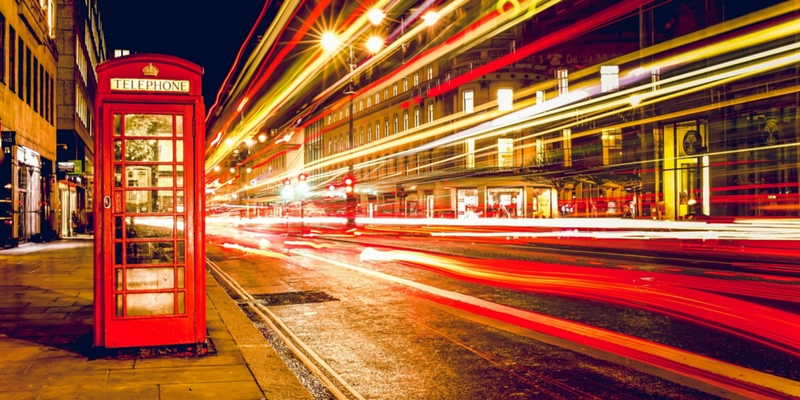 The UK’s buzzing FinTech industry is now estimated to be worth £20 billion. Technology analyst at Edison Investment Research Dan Ridsdale accords the success to the “close proximity of the London cluster of FinTech companies with the investment community.” It “naturally creates a strong gravitational pull for investment,” he says. 24 companies from the recently released FinTech50 – a list compiled by FinTechCity cataloguing the 50 most powerful game-changers in the future of finance – now come from London. The way has been paved for London and the UK to lead the FinTech revolution by a number of combining factors. FinTechCity, the London Mayor Boris Johnson and Level39, have all come together to see that London continues to earn its place as the number 1 seedbed for the continuing FinTech revolution. London FinTech is a success story in progress. But, with so many top companies all vying for space, the competition between them is heating up? As FinTech grows, so will the need for the enterprises involved to outsource their development. 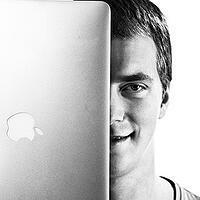 Web applications and mobile apps need to be designed with the future in mind. In order for these companies to make sure that they have got the room to expand, yet still keep the core of their business right at the centre of this exciting FinTech hub, then outsourcing will be the solution. Software and development companies like us here at Netguru are watching the revolution of financial services excitedly. Our representatives in London will be happy to talk, and since we’re proud partners with Level39 our proximity to the FinTech hotbed enables us to accelerate the growth of this rapidly expanding arena.